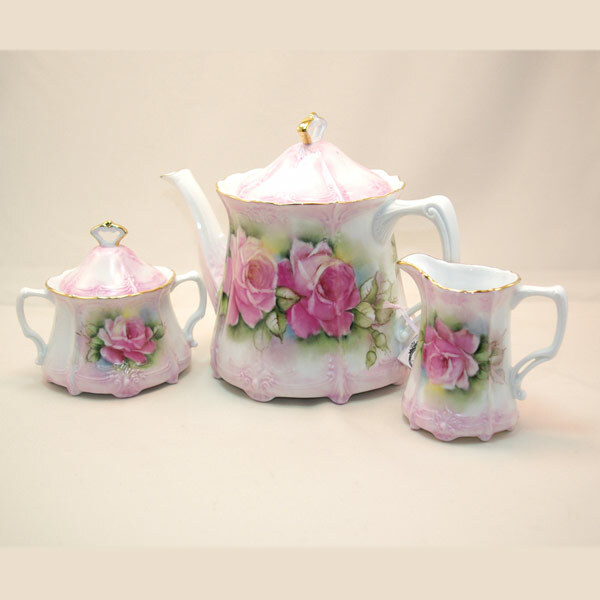 Home / TEA POTS, TEA SETS, CHOCOLATE & COFFEE SETS / Baronese Tea Set – 3 pc. 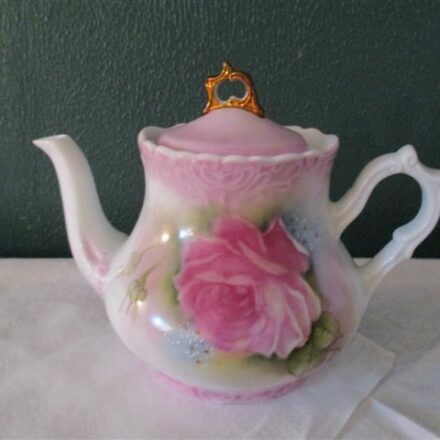 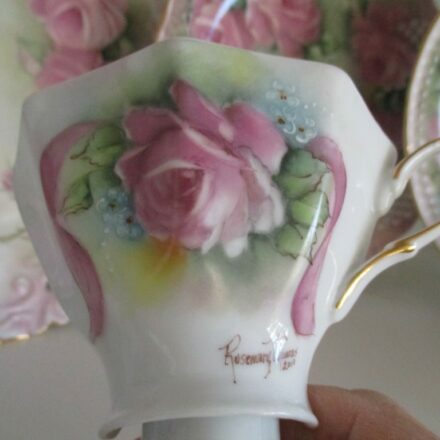 Baroness shaped Tea Set, reproduction, 39 oz., 7″, creamer and sugar bowl–4 1/2″, absolutely one of the most beautiful tea sets I have in inventory. 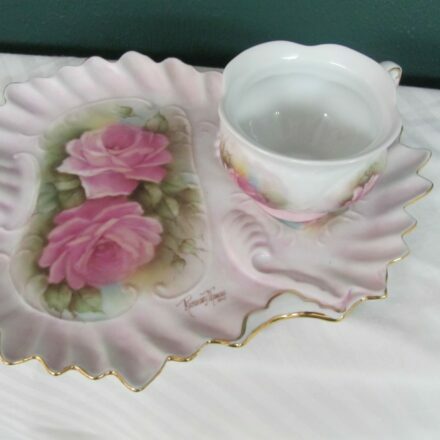 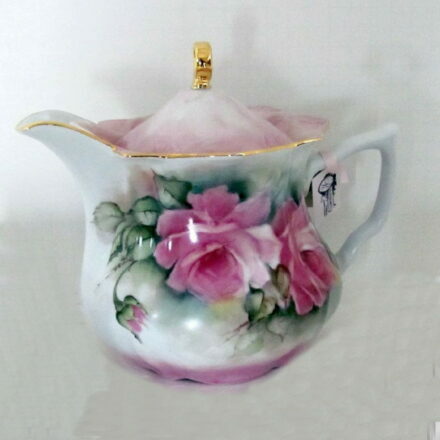 A delicate tea set, finished with hand painted tea roses, front & back designs, trimmed in gold. 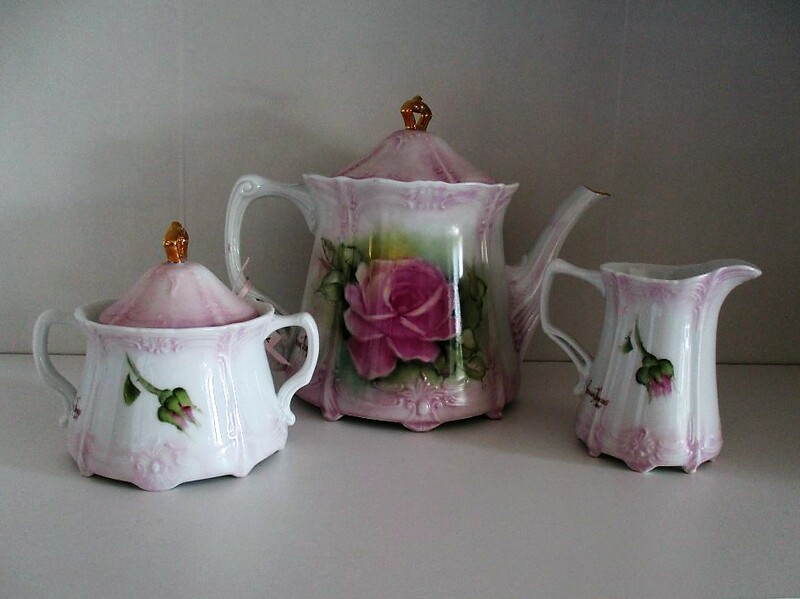 A great set to enjoy serving tea in.